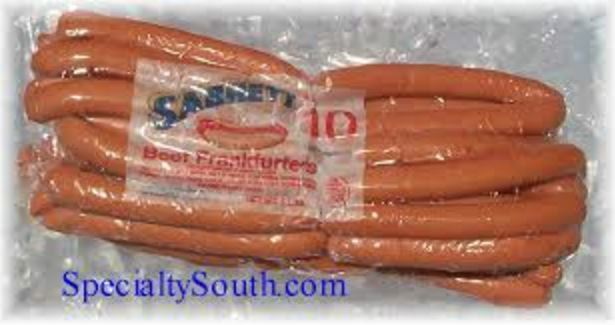 PRESS RELEASE: The Environmental Health Division is notifying the public that Sarbrett Beef Franks BS (8/1), EST/PLANT NUMBER 8854 is being recalled due to contamination by bone fragments and possibly other extraneous materials. Acting Chief Environmental Health Officer, Minchington Israel said that the USDA Mark of Inspection product was imported into the Territory by A Value Limited in Huntum’s Ghut. According to Israel, the Environmental Health Division has already conducted an inspection at A Value and verified that the product was indeed received but was sold out to persons unknown. Persons who purchased the product are urged not to consume any of it, return it to the place of purchase, or throw it out immediately. Israel also advised that if anyone is concerned about oral injury or illnesses associated with the said Sarbrett Beef Franks, they should consult a healthcare provider.